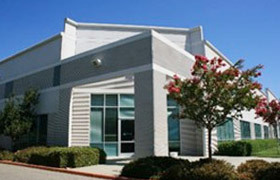 Prism Electronics formed in 2002 for the purpose of providing Independent Component Distribution and Asset Recovery Services for a growing demand in the Silicon Valley and beyond. Prism is a family owned business dedicated to providing quality and comprehensive services to its customers and vendors alike. Prism Electronics is driven by a unified commitment to integrity, service and building solid relationships from the inside out. Our common goal is to exceed the expectations of those who depend on us. We challenge ourselves to be the Company you want to come back to every time you need us. Our client relationships are built on integrity and trust. Your future and ours is dependent upon a partnership based on honesty, accuracy and quality. From Data security to Environmental liability, Prism is your trusted partner. We exist to protect your company and its future. Our Reverse Logistics Program will actually provide your company with a revenue stream and maximize your ROI (Return on investment), while reducing your liability. Refurbishing and remarketing are also an important part of our zero-waste environmental policy. Security is of the utmost importance at Prism. We offer certified destruction and recycling on multiple levels. Whether it is sensitive data, propriety information or prototype equipment, we have a stringent process designed to protect you regardless of your criteria. Reports are available and all transportation and shipments are reliably tracked. Our facilities are monitored 24 hours per day utilizing current surveillance technology. 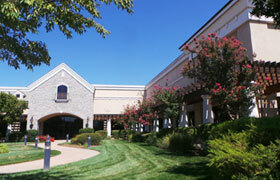 Prism Headquarters Component Distribution facility houses over 700,000 line items in stock ready to ship. The operation is ESD compliant. Our Asset Recovery Division operates two pneumatic de-manufacturing production lines, state of the art Tech Lab and over 50,000 square feet of finished goods warehousing. Prism has a zero landfill policy and is ISO 14001-2004 certified. Prism Electronics New York in association with KAD Resources offers a collection point for warehousing and distribution on the East Coast.